During a recent design review for Orbital ATK’s Next Generation Launch (NGL) system—a new low-risk, low-cost rocket capable of launching intermediate and heavy payloads into space—the team responded to questions from the customer by walking through the design element using virtual reality (VR). One of the design questions was whether a technician could safely remove the thermal batteries from the rocket through a small access door. The batteries and their attachment system weigh around 25 pounds and if a launch were to be aborted right before liftoff, they would have to be removed and replaced to support a second attempt. With the customer watching closely, the Orbital ATK engineer put on his VR headset, walked up to the virtual first stage of the rocket, opened the access door and reached for the thermal batteries. To simulate the mass of the batteries, the engineer tried to maneuver a 25 pound weight thru the virtual access door. Having identified an area for improvement, the design team developed a tool that enables the technicians to safely and easily extract thermal batteries. VR helped the team ensure all safety parameters are met to protect personnel and flight hardware early in the design process. 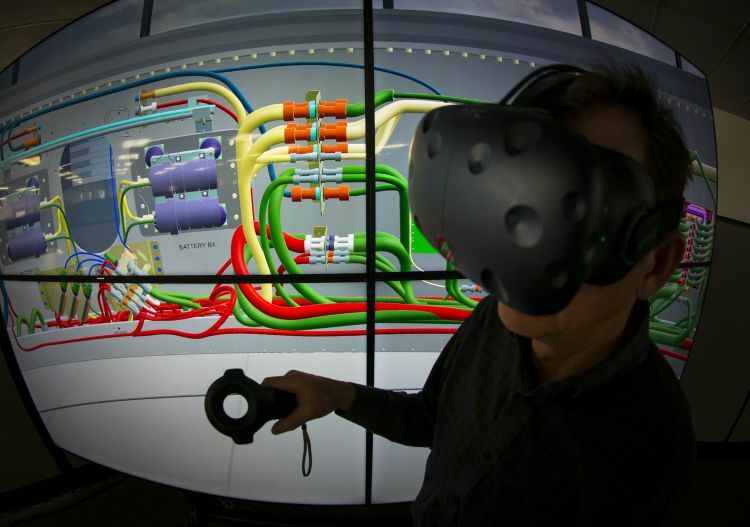 Orbital ATK began developing next-generation VR technologies in 2015 and now has an advanced Immersive Visualization Lab at the company’s Promontory, Utah, facility that is being used for design, process and customer reviews. VR is proving to be a significant benefit in designing and developing new products, tools and processes. Orbital ATK has already made significant progress on NGL, including upgrading facilities, building first stage hardware, conducting structure testing and working the full system design. 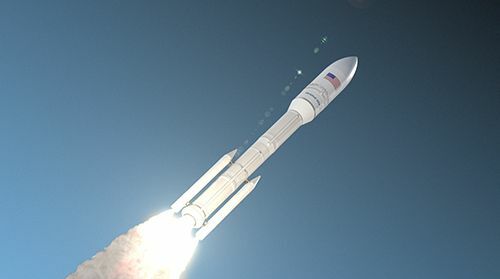 The NGL system leverages mature, flight-proven technology from the company’s lineup of small- to medium-class rockets including Pegasus, Minotaur, and Antares. NGL is one of Orbital ATK’s top growth initiatives, and the company has committed to investing in the development of the rocket. To date, Orbital ATK and the U.S. Air Force have invested more than $200 million. Currently, there are 200 employees working on the program, with an additional 600 planned to start in the next 24 months. The program is led out of Orbital ATK’s Chandler, Arizona, facility, with additional work being completed in company facilities across the country. Today, Orbital ATK remains on track for a ground test of NGL’s first stage propulsion in 2019, and the first certification launch scheduled for 2021.